Stunning views are always a rewarding part of hiking but views plus a refreshing swim under a cascading waterfall in a rock pool surrounded by rainforest is an even bigger incentive to lace up your walking shoes and head to Kondalilla National Park. 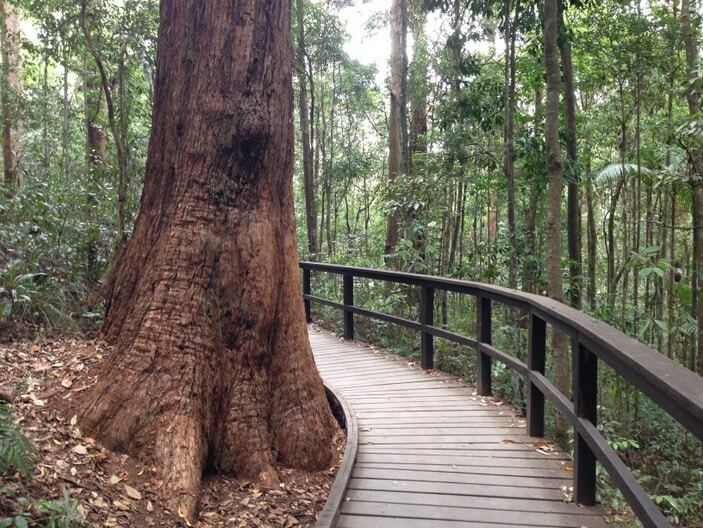 Located only 1-½ hours north of Brisbane near the picturesque village of Montville on the scenic Blackall Range, Kondalilla National Park is the perfect day trip destination for families. 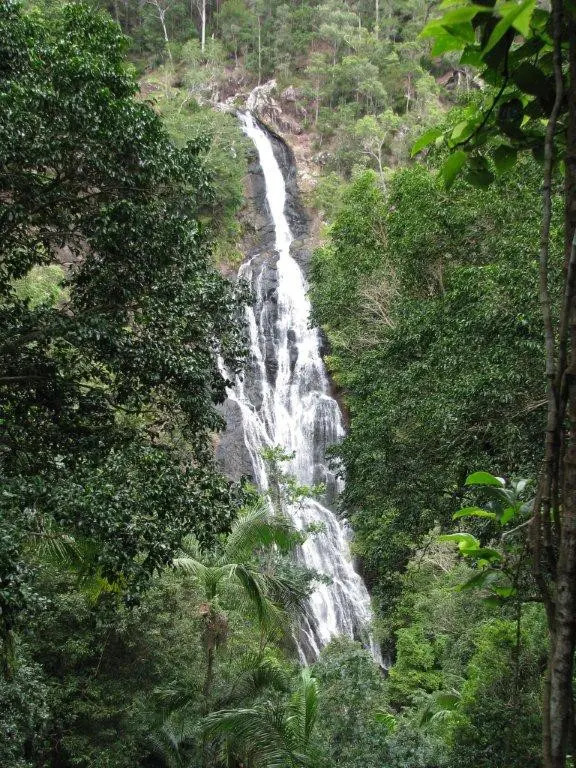 The park is part of the traditional lands of the Gubbi Gubbi people and Kondalilla is an Aboriginal word meaning ‘rushing waters’ which is exactly what you can expect from the spectacular falls during the summer wet season. 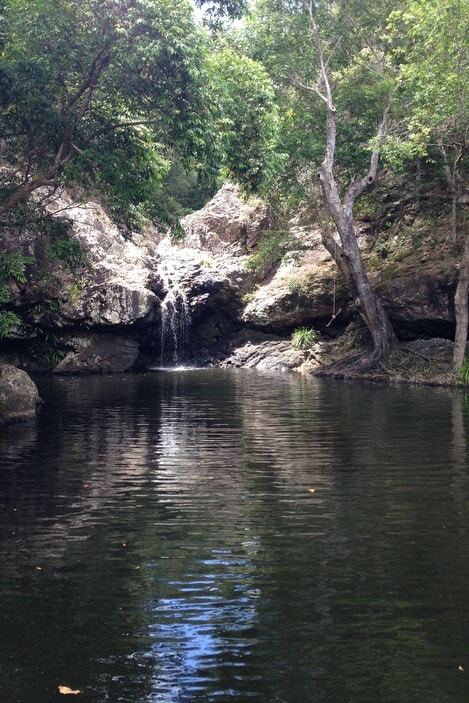 Before falling 90m into the rainforest valley below, Skene Creek gathers in a rock pool with it’s own 4m waterfall, providing a tranquil spot to cool off and relax. This is wild creek swimming we recommend for older kids – tweens and teens. 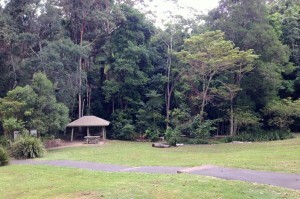 From the car park at the end of Kondalilla Falls road there is a 50m downhill walk, with multiple stairs, that leads to the large grassy picnic area and the start of the walking tracks. With its lush surroundings, shade trees, barbecues, picnic tables and toilet facilities, the picnic area is a beautiful spot to refuel before or after your walk. 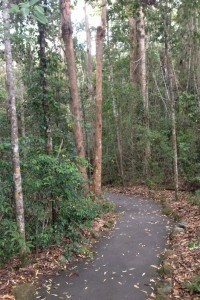 There are several walking tracks in Kondalilla National Park including a section of the Sunshine Coast Hinterland Great Walk. 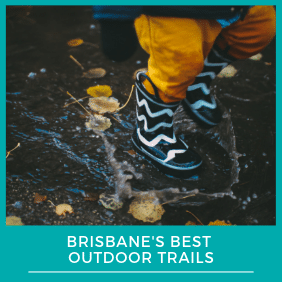 The shortest walk is Picnic Creek circuit at 1.7km; it is a relatively easy walk suitable for children and takes around 45 minutes to complete. The track however is not wheelchair or pram accessible and there are many steps so smaller children will need to walk or be carried. 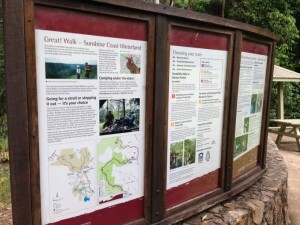 The circuit crosses Picnic Creek with its little cascades and passes through tall open eucalypt forest with an interesting mix of rainforest species in the wetter areas. 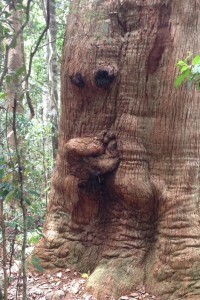 Along the journey children can search for elves and fairies in tree roots or try and spot faces in the tree trunks. There are beautiful views over the valley from the lookout point and bench seats are scattered along pathway so you can stop to rest and listen to the birds chatter and sing in the canopies above. If you are not continuing down to the falls but want to swim you can take a small detour down the escarpment to the rock pool. 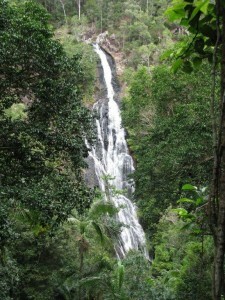 The Kondalilla Falls circuit is 4.7 km and will take between 2-3 hours to complete. 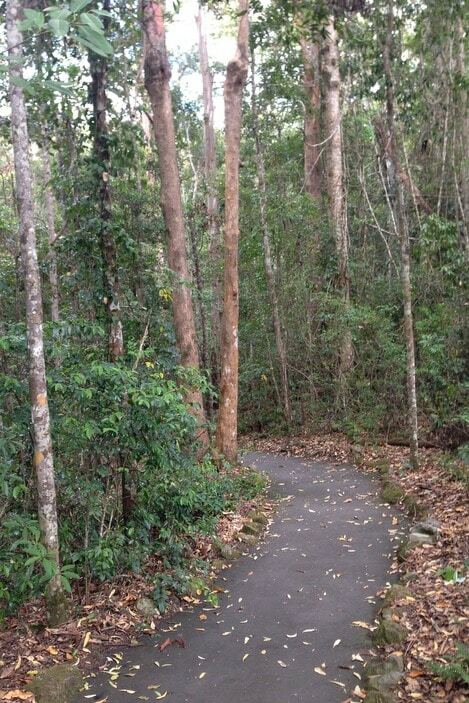 This walk includes more than 100 steps so it’s quite strenuous, particularly on the way back up! 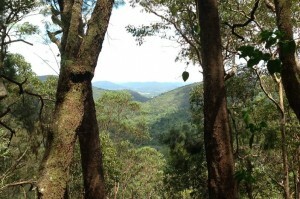 From the Picnic Creek circuit follow the signs down the escarpment and continue past the rock pool onto the lookout with first views of Kondalilla Falls. 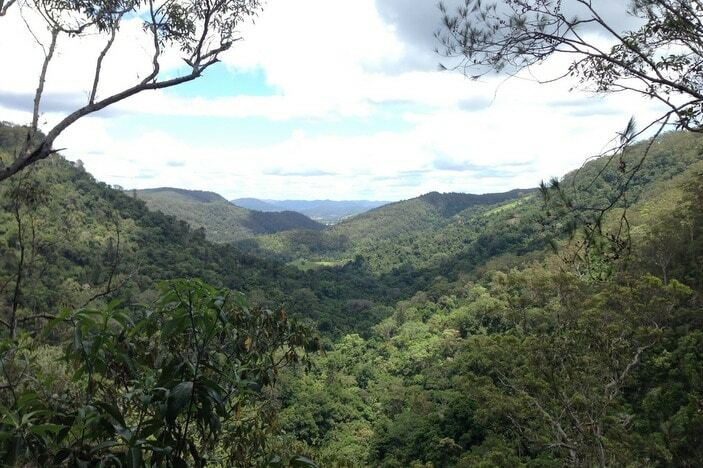 From here you will walk through lush subtropical rainforest to the base of the waterfall and then continue back up the ridge to complete the loop. 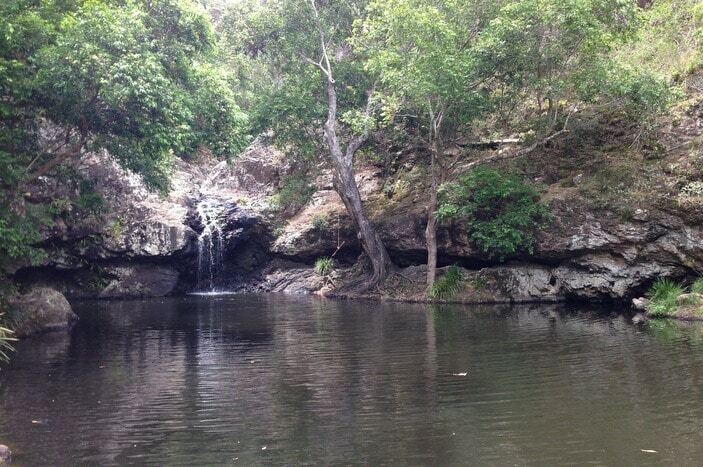 Another dip in the rock pool on the way back plus the cool breeze through the rainforest will help cool you down after climbing up the stairs! 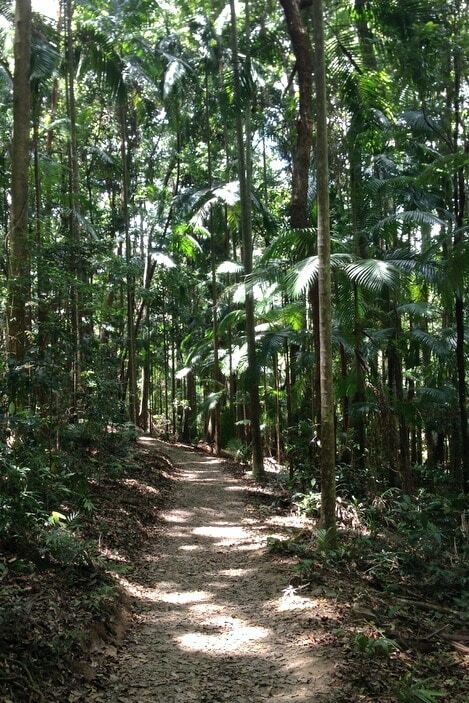 Kondalilla National Park has an abundance of wildlife including over 100 species of birds, as well as a variety of reptiles and frogs with some species rare and close to extinction like the pouched frog (Assa darlingtoni) and the bopple nut (Macadamia ternifolia). With this in mind, it is important to protect our National Parks so be sure to take all your rubbish with you, keep the creeks clean and leave your pets at home. 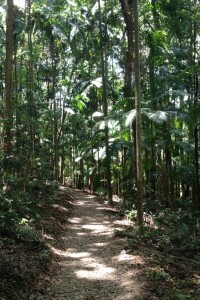 Insect repellent is a must as is taking your own drinking water and food. The best time to visit the falls is during the wet season, January – March, although the water still flows in the dry months and the park is open during daylight hours year round. For the latest information on track closures visit the Department of National Parks, Sports and Racing website here. Walking tracks are also closed during severe wet weather due to flooding so always obey closure signs. 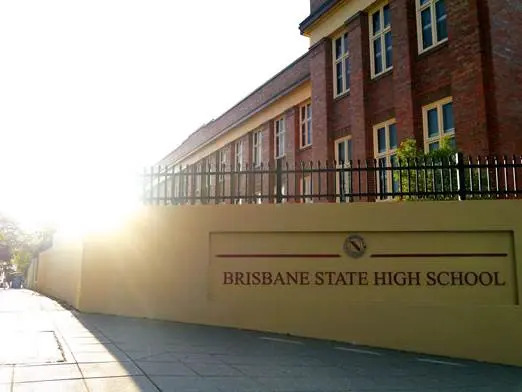 From Brisbane: travel 54km north along the Bruce Highway (M1) and take the Steve Irwin Way Exit 163. 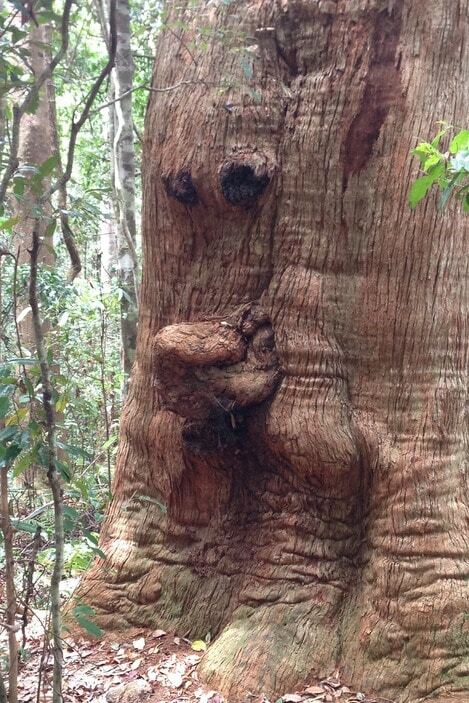 Follow Steve Irwin Way approximately 22km north and take the Landsborough turnoff. 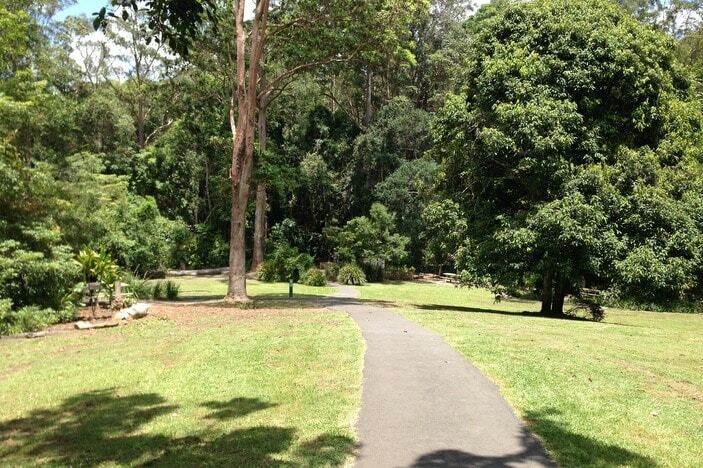 Continue through the Landsborough township and follow the signs for Montville on the Landsborough—Maleny Road. 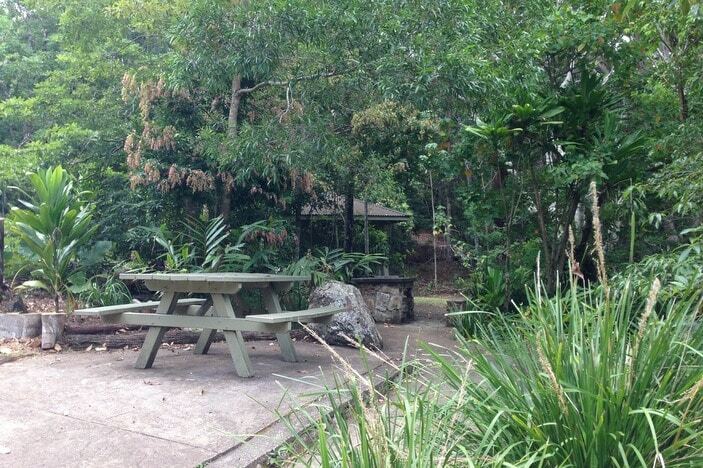 Near the top of the range turn right onto the Maleny—Montville Road, travel through Montville and continue approximately 2.6km north of Montville turn left onto Kondalilla Falls Road and travel another 700m to the park entrance.